What a great first Rotary and Interact fundraiser in Sheffield Village/ Sheffield Lake! 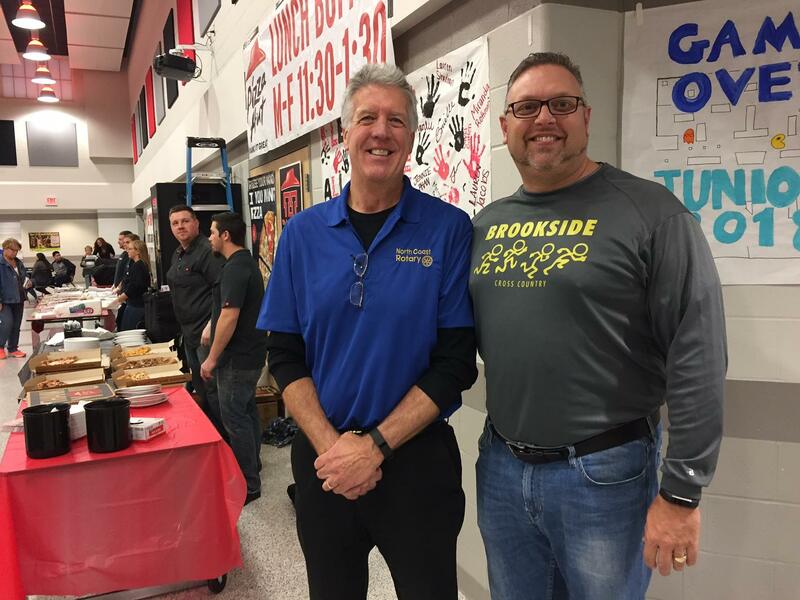 Over 150 guests came to the Great Pizza Bake off at Brookside High School. Congratulations to the Winners: Neechi’s for both Best Pepperoni and People’s Choice, Pizza Hut for Best Cheese and Doughboy’s Pizza and Wings for Best Specialty. 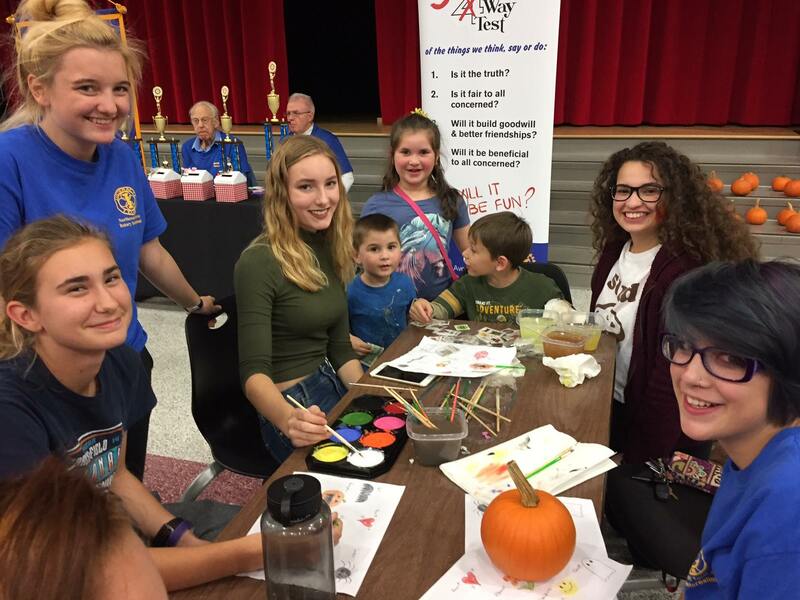 Adding to the fun were the activities managed by the Interact Club and Rotarian Doug Maurer; Puttin-out-Polio, Face-painting, Autumn-coloring, Halloween tattoos and the Pie-in-the-Face. Thank you to Superintendent Mike Cook, Sheffield Village Mayor Hunter, High School Principal Brent Schremp, Rotarian, Guidance Counselor and Emcee Gina Eschke, and Sprenger who donated cookies for dessert. Our thanks also to the community including many parents, teachers and staff who participated and supported us. Recognition is due to our local sponsors including: Ford Motor Company, Rockin’ on the River – Falls River Concerts, Lubrizol, Shur-Tec, Avon Chiropractic Center, Brian Kyles Construction, Billings & Company Certified Public Accountants, First Federal of Lorain, Glen Kuemerle, D.D.S., MUSIAL & MUSIAL Co., LPA Counselors at Law, Old Republic National Title Insurance Co., The Press, Sprenger Health Care Systems and State Farm Agent Eileen Reigert. Join us at our next fundraisers in February – a Great Pizza Bake-Off at Avon High School, and a Wine Tasting at Sprenger.